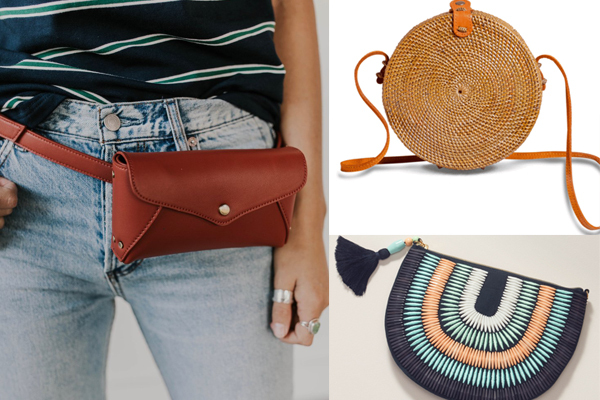 Since it is feeling a little more like Spring, and since we are having an earring exchange around these parts, I figured I would share some accessories I am loving for Spring! 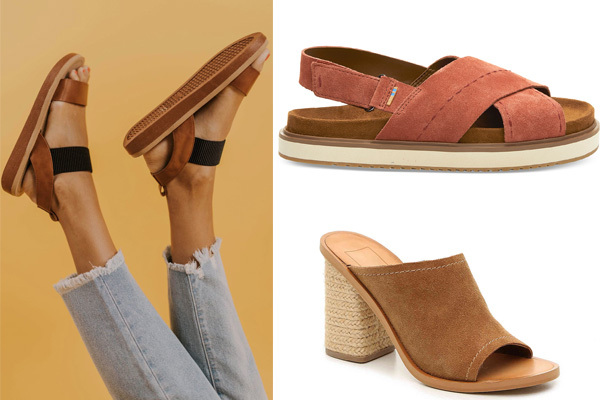 Two styles of shoes I am eyeing for Spring, platform sandals and slide mules with a heel. I am always a sucker for Toms shoes too. They are a higher price tag, but they are comfortable, they last, and they give back. 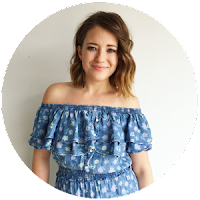 Roolee is an online boutique based out of Utah and they have so many adorable things. Their prices vary, but on higher priced items I can get some inspiration and can usually find something similar somewhere else for less. It is cute hair ties and scrunchies like these that have me wanting to grow my hair out! Ok, only a little but, but I can still make them work. 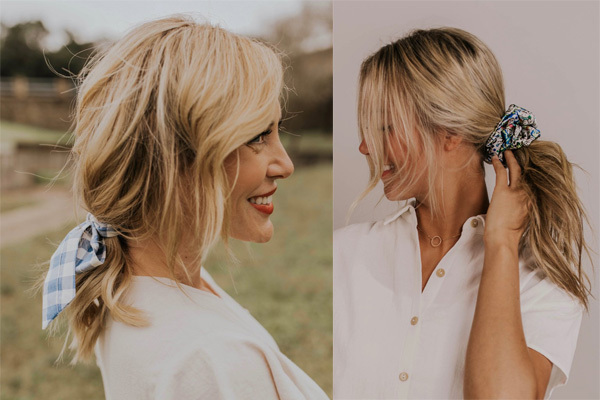 There are so many options for ribbon hair ties, and many of them can double as a little bandana, which I also love. Seriously such an easy way to class up any outfit. And what says spring more than gingham, am I right? Okay, don't judge me, but I would totally rock a belt bag. I actually got a leopard one for super cheap to try it out and make sure I would be able to pull it off, and I love it. The round straw purses were huge last summer and they aren't going anywhere. They are definitely here to stay. And I am a sucker for a cute clutch. If it is beaded, has fringe or tassels, I am probably sold. We are going to be doing a giveaway with a super cute spring handbag you will LOVE, so be on the look out!